-LED spotlights can frequently switch: LED's service life is determined by the lighting time, so it doesn't have any impact on its life span even switching thousands of times per second. 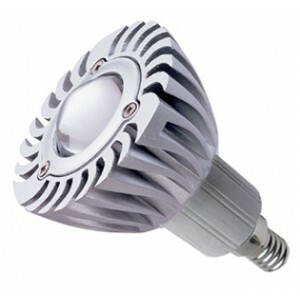 LED light has the absolute advantage at the occasions where require frequently open and off switch. -Energy saving: Compared with the equal power incandescent lamp, LED light's power consumption is 10%, and it also saves more energy than fluorescent lamp. -Long service life: LED lamp beads can work 50,000 hours, which is longer than fluo2 rescent lamp and the incandescent lamp. -Low heat: Many 220V spotlights are broken down because of heat. 12V halogen spotlight' heating value is less than 220V lamp, but its brightness doesn't reach the nominal value because of the power shortage of its transformer. LED spotlights can work for a long time without a transformer. -Rich colors: There are different colors of light, such as white, warm white, red, green, blue and other colors; no matter the small lights used for decoration next to the living room headlamps or neon light are very bright.